The myth that containers aren't ready for databases still persists. We're not buying it. We have built and open-sourced the MySQL operator for Kubernetes to solve this problem as a layer in the Presslabs stack for open WordPress hosting infrastructure. We operate with lots of small to medium-sized DBs, in a DB-per-service model, as we call it. The workloads are mostly reads, so we need to efficiently scale that. The MySQL asynchronous replication model fits the bill very well, allowing to scale horizontally from one server (with the obvious availability pitfalls) to tens of nodes. The operator is based on Percona Server for MySQL for its operational improvements â€”like utility user and backup locksâ€”and relies on Orchestrator to do the automatic failovers. We plan to integrate it with Percona Management & Monitoring. Community feedback on the operations it automates and to make sure that the data is safely stored is very welcome. Calin Don is the co-founder and CTO of Presslabs. 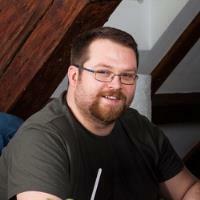 Calin is a perfectionist, language-agnostic day-and-night code tinkerer, loving and hating WordPress since 2005. Since 2011 he has been building a complex infrastructure to host demanding WordPress sites, in the CTO's and co-founder's shoes of Presslabs. Now he's on a mission to simplify and open a scalable WordPress setup that powers millions of pageviews. He likes skiing in the Austrian Alps, swimming and making road-trips with his family. 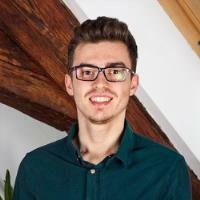 Flavius Mecea is a software and operations engineer at Presslabs. A vivid builder and avid reader, Flavius is always up to something - exploring untapped possibilities using Kubernetes & Go, mentoring students into the secrets of algorithms and DevOps or playing with hardware and machine learning. He's a high-spirited person and an all-time helper that always meets a new day with curiosity.